Payment arrangements, whether through insurance company, employer, family and/or patient, must be made with the Business Office prior to admission. Treatment consists of an individualized program; therefore, the total cost of treatment depends upon such variables as length of stay, pharmacy and psychiatric services rendered. Please contact our Admissions Department for more information at 406-248-3175 or 1-800-227-3953. 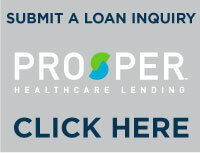 American HealthCare Lending is the premier financing company in the behavioral health industry. With over $5 Billion funded and over 300,000 applicants served through their lenders, this is a and a program you can trust.